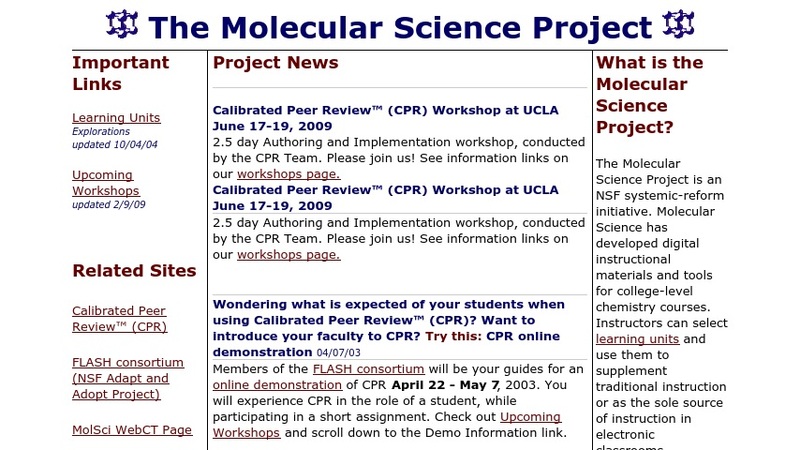 The Molecular Science Project is an NSF systemic-reform initiative. Molecular Science has developed digital instructional materials and tools for college-level chemistry courses. Instructors can select learning units and use them to supplement traditional instruction or as the sole source of instruction in electronic classrooms.